Starting your own business can simultaneously be the most terrifying and exhilarating thing you will ever do. It’s absolutely crucial that you take on every task with the same determination with which you set about those first exciting weeks. Don’t lose your nerve when things go wrong or stray from their intended path—which they will. Sorry. The good news is that you can do it. Or at least you can increase your probability of success. Of course, if you’re already at the point where you’re here, reading this, then you don’t need me to tell you how important it is to believe in your product—you’ve got a great idea, and you’re ready to make it happen. I am a management-consultant-turned-entrepreneur with personal experience of the highs and lows of starting your own business and I try to offer my advice to anyone who is considering traveling down that path. Before starting my company no-more, I was an investment manager in private equity. Before that, I was an associate at McKinsey & Company—a global management consulting firm that serves leading businesses, governments, nongovernmental organizations, and not-for-profits. Before that, I was the founder of a case competition (a common exercise for those studying business to sharpen their analytical and problem-solving skills) while studying. I don’t tell you this to brag (I’m Danish—it’s just not the done thing), but to highlight an important point: where you have been before informs where you will go. Everything you do in life has a lesson to teach you, and those lessons shape the person you become—both in life and in business. If it sounds clichéd, that’s because it is, but things generally become clichéd for a reason. In your journey to build your business, you will encounter a lot of people who think they know what is best for you, and who claim to have all the answers. It will sometimes be difficult to tell which advice you should follow and there will be many days when you’ll feel like you haven’t slept in weeks. But in amid all of this will be some pieces of advice that keep cropping up, time and time again. These four pieces of advice are all things I learned during my time as a consultant, and they have been instrumental in keeping me sane on the days where it seemed like starting my own business was a completely insurmountable task (spoiler alert—it really wasn’t). Recently, an employee wrote me an email in which he set out three arguments in favor of allocating resources to content marketing. His conclusion, which came at the end of the lengthy email, was that we should do it because it works for all the fastest growing B2B companies. If I had known this at the beginning of the email, I probably would have had a better understanding of what I was reading, and I wouldn’t have needed to read it again after reading the conclusion. I advised him, going forward, to switch the order and start with the takeaway. Communicating this way underscores his main point and adds weight to his supporting argument. These days, his communication is much clearer, and we both save a lot of time. This is one of the founding principles of modern management and is applicable to almost every aspect of life—both personal and professional. Tell them what you’re going to tell them, then tell them what you’ve told them. In other words, begin with your conclusion. Because here’s the thing—you’re going to be busy. And when I say busy, I mean really busy. You’re going to have a lot of balls in the air and a lot of things on your mind. Keeping your communication as brief and effective as possible will really help you to keep sight of your goals, rather than getting bogged down with minor details. Assume that everyone you engage with—whether by phone, in person, or via email—is as busy as you are, and you’ll be surprised how much time you’ll save. The 80/20 rule, or the Pareto Principle, states that 20 percent of the work you do will yield 80 percent of your results. It is a fundamental element of all management training, particularly when it comes to the principles of management consulting. It may sound like “management speak,” but there is a great deal of truth to it, especially when it comes to honing the fine art of prioritization. 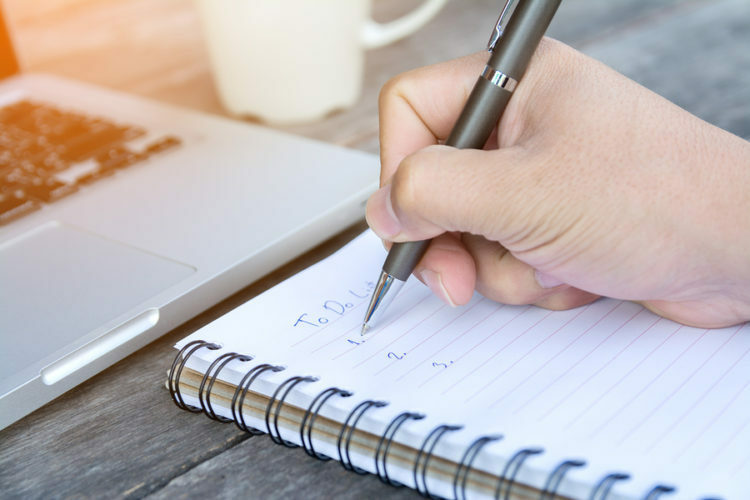 If you wrote down a list of all the things you have to do in a single day, as well as all the ad hoc tasks and other things that you have to do on a semi-regular basis, you would probably end up with several pages of tasks. This is even more true for small business owners and those just starting out as entrepreneurs. A good rule of thumb is to concentrate on the tasks that make sense for you—everything else (PowerPoint slides, Excel work, desk research) you can outsource or delegate for a fraction of the cost of your time. But how do you decide which tasks are the ones you should concentrate on? The trick is to find where the value lies, and resist the urge (however strong it might be) to just tick off the easy-win, low-value tasks that lend a false sense of achievement (more on that later). Lucy has two tasks on her list, both of which will take her around three hours to complete. The first is to proofread her company website, the second is to find and contact 10 potential new customer leads. To determine where the value lies, it is important to understand what it is that Lucy’s company does, and what stage she is at. If she is offering copywriting and proofreading services, her website is live and her business is already trading, then there is little point contacting new leads until she knows that the content on her site is perfect—someone looking for a proofreader is unlikely to employ one from a site with spelling errors and grammar inconsistencies. But if Lucy’s business is in corporate portrait photography, and she already has a studio and overhead to pay and not enough clients to cover her costs, then finding new clients should be her number one priority—the proofreading can wait. In business, context is everything. This one is a little more controversial. In my time in business, I have known many people who believe that they can multitask, and that they are more efficient and more productive when doing so—it’s a very commonly held belief. There have been numerous studies into this claim over the years (here’s another one), and the amount of evidence disproving it is fairly overwhelming. When you believe you are multitasking, what you are actually doing is switching very quickly between tasks. But, there is a switching cost, meaning that you are losing time and productivity each time you switch. Gerald Weinberg, an American computer scientist, proposed a rule to calculate the waste caused by multitasking. His calculations suggest that even attempting to work on just two tasks at once causes a 20 percent reduction in the actual time spent on the work. As soon as a third concurrent task is added, the amount of time your brain spends switching between tasks actually outweighs the amount of useful time. The truth is that we’re just as good at distracting ourselves as others are at distracting us, and the modern influx of multimedia into every aspect of our lives is actually more damaging than we realize. A BBC study in 2005 found that workers distracted by email and phone calls suffer a 10-point fall in their IQ. To put that in perspective, that’s more than twice the IQ drop found in marijuana users. Since the email and phone distraction study is now 12 years old, it’s reasonable to assume—given the fact that we now also have smartphones, tablets, social media, smartwatches, and whatever other distraction is the latest craze keeping us constantly at its beck and call—that this effect is not greatly improved. In fact, I have a hunch it’s worse. By assigning yourself time each day where you switch off all your notifications and concentrate on one thing at a time, you will find that you get a lot more things done. If you begin your day with the most difficult, challenging, or unappealing task, you can go through the rest of your day knowing that the worst is done. It’s very easy to get sidetracked by the myriad little tasks we face every day—especially when you’re running your own business. Sometimes, the idea of spending a couple of hours aligning PowerPoint slides appeals because it’s an easy win and you know you’ll feel that sense of achievement when it’s done. But would it not have been better to give that task to someone else so that you could concentrate on something more important? The solution to this problem may lie in how you’re planning your time. When incomplete tasks languish on our to-do lists, they cause intrusive thoughts and anxiety, as our brain struggles to make us complete them. This phenomenon is known as the Zeigarnik effect, after the psychologist who first studied it. Think about it—how many times have you been trying to concentrate on something, but found yourself remembering all the other things you haven’t done yet? Or found yourself lying awake at night going over your to-do list for the next day? The good news is that there is a simple cure—effective planning. In 2011, Masicampo & Baumeister studied the Zeigarnik effect and discovered that the act of making a detailed plan can actually have an effect on the brain similar to that of pressing a reset button, clearing your mind of those intrusive thoughts and allowing you to get on with the task at hand. So—how do you “eat your frogs”? At the end of each day, reassess your objectives and decide what your frog for tomorrow will be. I have recently implemented a short management huddle each morning that helps the different departments to outline their frogs for the day. The simple act of outlining the tasks on a whiteboard provides a sense of perspective—you can see at a glance what other teams are working on, and you are able to physically remove tasks from the list as you complete them. It’s already having a very positive impact. When all is said and done, you only have so many hours in the day. I hope that these four pieces of advice will help you to make the most of that time and empower you to make smart decisions about how to spend it. Anders Thomsen is the CEO & founder of no-more, a Denmark-based SME offering specialist business support on demand to professionals all over the world. Prior to setting up his own business a year ago, he worked in corporate finance, and before that he was an associate for McKinsey & Co.